It’s well established by now that indoor air pollution can be a threat to you and your family’s health. Long-term exposure to unclean indoor air makes people more prone to heart diseases, a host of respiratory disorders, and even cancer. Radon, tobacco smoke, carbon monoxide, perfumes and fragrances, VOCs, and household disinfectants are some of the well-known sources of indoor air pollution. Over 60% of homes in the United States come pre-installed with HVAC (heating, ventilation, and air conditioning) systems. Many of us, rather mistakenly, presume that these systems are helping to circulate the air in our homes and must, therefore, be helping to remove the harmful toxins. However, recent studies have shown that many of these HVAC systems are actually exacerbating the problem due to either being incorrectly installed or simply due to poor or no regular maintenance. The study goes on to find that in homes where HVAC systems were suspected of spewing out overly toxic air, that by simply performing service and maintenance regularly, you could improve the air quality by as much as 78%. Unfortunately for those of us that suffer from Allergies or Asthma, even with regular maintenance, we would be better off going without climate control in our homes entirely. As more and more reports and studies bring indoor air pollution to our attention, many of us are starting to invest in long-term air purification solutions to deal with this health hazard. 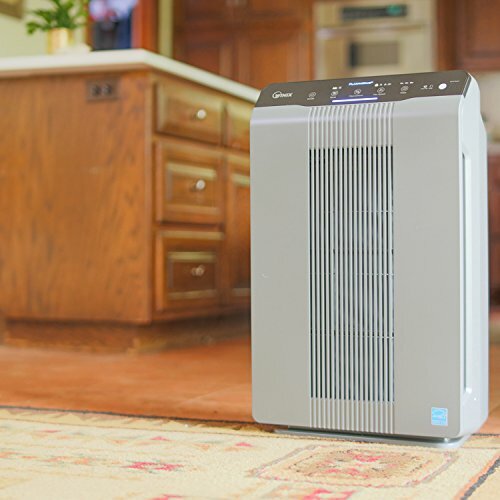 According to Zion research, the residential air purifiers market in the US was valued at approximately USD 2.02 billion in 2015 and is set to touch USD 2.72 billion by 2021. Meanwhile, the global market is set to blow past USD 24 Billion by 2024. A Whopping 8% increase, exceeding previous estimates. In this growing market, it’s no surprise that a number of the top electronics manufacturers are keen to enter the field with new and groundbreaking technology in a bid to gain a larger market share. Air purifying technology has grown by leaps and bounds in the last few years. New air filters come in a variety of types, shapes, energy-consumption levels and costs. What has not changed, is they all aim to make the quality of air inside your home better. In order to make an informed decision about the type of air purifiers to buy with your hard-earned money, you need to be aware of the various different pollutants (dust, molds, particulate matter, etc.) present in your home along with the air purifying technologies best suited to handle that specific pollutant. Many manufacturers attempt to bamboozle us in their advertisements, stating that only their machines can achieve the desired results, all thanks to their overly scientific sounding proprietary technology. Is there any substance to these claims? or is it just marketing hype? It’s advisable to seek out some independent air purifier reviews before making what can be a fairly substantial purchase. But for now, lets take a closer look at all the different air purifier types currently available in the market right now. 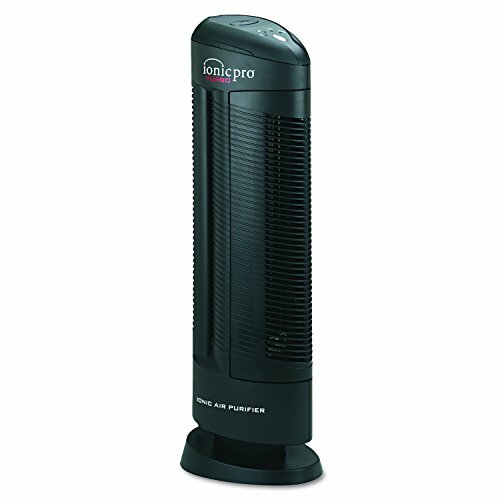 Hepa stands for High-Efficiency Particulate Air. Hepa type filters have been around for years, and as the name suggests, they do a great job of filtering particles. According to the standards laid down, a Hepa filter must trap a minimum of 99.97% of particles which are bigger than 0.3 microns. To put this in context, a human hair usually has a thickness of 50 to 120 microns. Therefore, Hepa filters are able to trap bacteria, chemicals, viruses, and certain molds that can’t be seen by the human eye. Carbon air purifiers depend on a very porous form of activated carbon either made as a powdered block or in granular form. Because it’s extremely porous, a tiny portion of it can have a very large surface area, which helps the air purifier with activated carbon filter absorb huge quantities of contaminants. Carbon filters work through a process called adsorption, which is nothing but a chemical reaction between the organic compounds and the activated carbon, causing the compounds to stick. This method of filtration makes carbon filter air purifiers particularly adept at removing strong odors like smoke. They are often used alongside Hepa filters and when combined, they are able to trap and remove a host of pollutants including spores, mold, dust, and smoke along with any odors these pollutants can create. Cold air cannot hold much moisture. This is the reason you experience cracked skin and a dry nose in winter. To mitigate the effects of dry air, a humidifier can be a great investment. But a humidifier gives rise to its own challenges: the increased humidity in your home can become a breeding ground for everything from bacteria to molds. That’s why it’s recommended that you use a humidifying device in conjunction with an air purifier, especially during the dry winter season. However, these days you don’t have to pick up two separate devices. You can save costs by buying an air purifier and humidifier combo. The difference between a humidifier and an air purifier is simple: the former adds moisture, while the latter cleans the air. 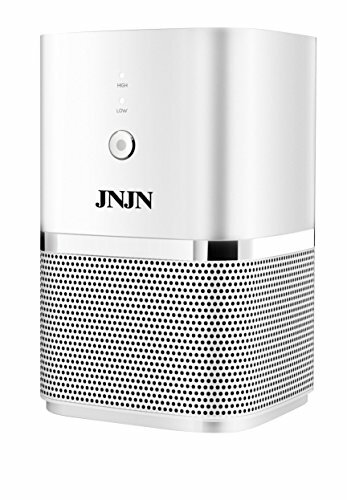 The ionic air purifier or ionizer is based on a high-tech air purification model that uses ion generators. The generator of the ozone air purifier sends out a continuous flow of ions that are negatively charged. Dust, allergen particles, and other pollutants get attracted to the ions. Once they interact with each other, the pollutants become too heavy and drop down to the floor, from where they can be easily swept or vacuumed away. An ozone air purifier or ozone generator, on the other hand, removes odor in your home. It does so by producing ozone and using the process of oxidation to targets the gases that produce odor. UV air purifiers are able to eliminate potentially harmful germs and viruses present in your home. UV stands for ‘Ultra Violet’, and these air purifiers are also known as UV light air purifiers as they use UV light to clean the air in your home. Now, UV light comprises three sub-bands. 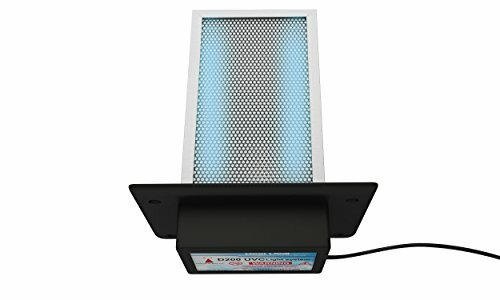 Of these, UV-C light is of interest to us here because it’s this band of UV light that does a very good job of killing pathogens and harmful particles in your home. A UV air purifier goes to the heart of the matter and disrupts these pathogens’ core DNA. This prevents these harmful pollutants from multiplying. 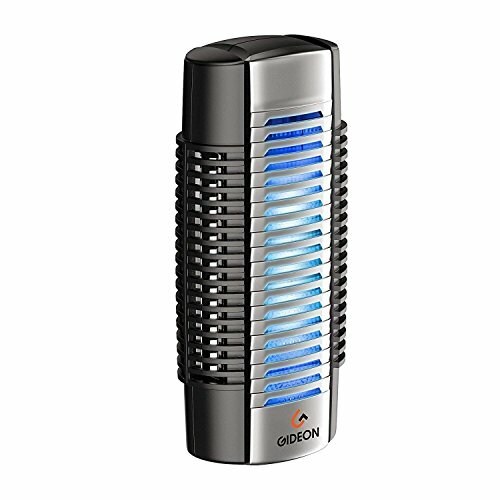 Portable air purifiers are the kind that clean a single room or a similarly enclosed space. Also known as room air purifiers, they are the default option if your home doesn’t have central air conditioning or heating. 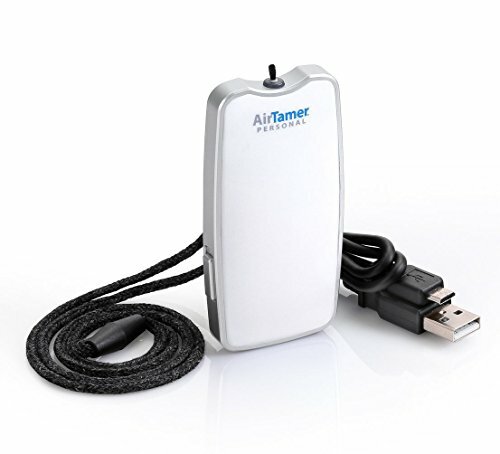 Portable air purifiers come in various sizes but are usually easy to carry around, weighing less than 20 pounds. They keep your room clear of harmful airborne particles such as dander and pollen as well as VOCs, smoke and fumes. 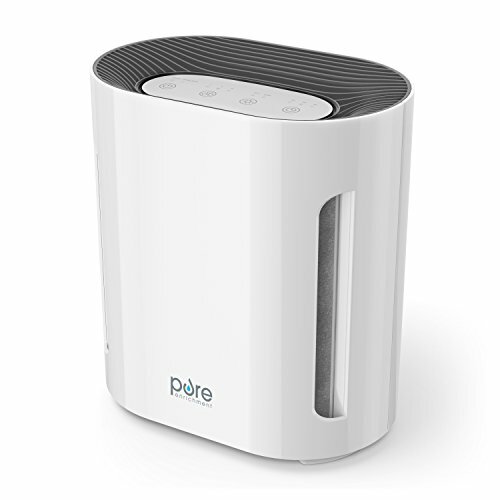 It makes sense to invest in a portable air purifier with a Hepa filter, which removes 99.97 percent of particles that are smaller than 0.3 micrometers. 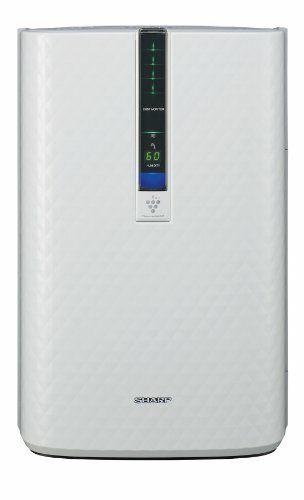 Another advantage of these purifiers is that typically they are relatively inexpensive. As the name suggests they are meant to clean the air in a much larger area, possibly the entire home. You will need professional help to get such a purifying system installed as they often need to be attached to your heating or cooling system and be wired into the internal electrical system of your home. Whole-house air purifiers can be further divided into filter-based systems attached to furnaces; duct-based systems; and stand-alone systems. Because of their larger spread, whole-house air purifiers and cleaners are more expensive than their portable counterparts. But if you suffer from severe allergies or asthma, they’re arguably the best option. 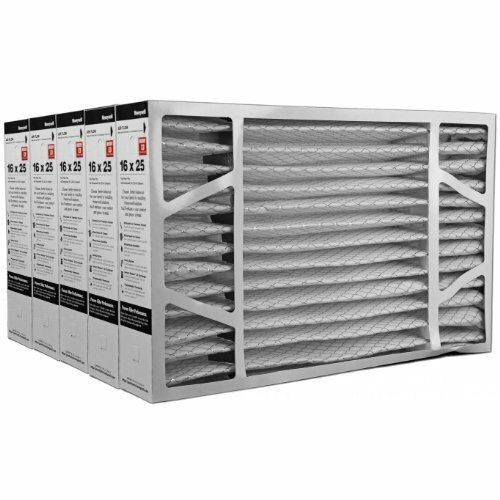 These filters are very easy to use, don’t need professional help to install, and come much cheaper than the whole-house air purifiers. The downside is that they do a less thorough job of cleaning the air. WH air filters work on the basic principle of filtering air and trapping small to large particulate matter but usually not so adept at trapping anything on the micro scale. Whole-house air filters are really the most basic means to clean the air in your home and can be picked up from non-specialist stores. Electrostatic precipitation makes use of electrostatic forces, and house two collecting plates and discharge wires. The basic principle is as follows: An electric field is formed between the plates and wires by a high voltage. The field forces the charged pollutants, which have been ionized, to collect on the plate, from where they can be easily removed. In many ways, the working of electrostatic precipitators is similar to that of ionic air purifiers or ionizers. Electrostatic precipitators come in various sizes and types, depending on the water droplet and dust features as well as the gas volume flows. Charged media filters use a process similar to electrostatic precipitators. The key difference is that charged media filters make use of filters in place of plates. So the filters will have to be replaced after a period of time. Charged media filters are able to trap even microscopic particles. They attract and trap particles such as spores, pollen and dust debris. Some charged media filters can trap 99% of airborne particles including those found in smoke, bacteria and smog. Antibacterial and germicidal air purifiers comprise processes and components that are able to remove allergens and target germs that cause flu or cold. The components include technologies and materials such as UV light, sterilizing heat and natural silver that destroy the pathogens lurking in the air at your home. Thus antibacterial and germicidal filters help in the fight against strep throat, colds and influenza to make your home a safer and healthier space. 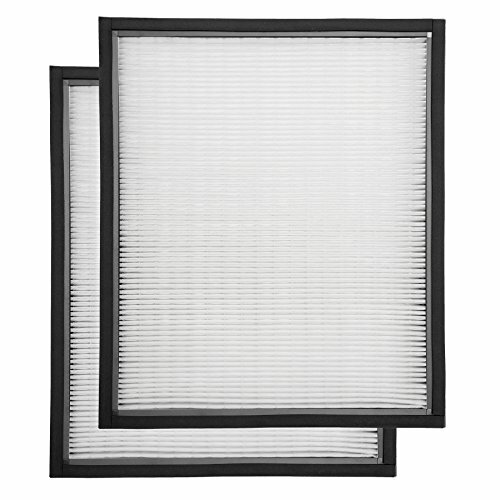 Such filters can be used by themselves or alongside a Hepa filter. Pre-filters can be best described as the first line of defense to capture the largest and most obvious particles. In the absence of a pre-filter, your device’s Hepa filter will be subject to some really rough treatment from larger particulate matter and is almost surely going to wear out faster. Pre-filters are often made of foam or nylon and can be easily washed. In most large households, it’s a given that your home will be full of large particles, and pre-filters are a must-have to prolong the life and efficiency of the more superior filtering systems that deal with finer particles. If you would prefer to avoid using the above air purifying devices, then it is actually possible to purify the air in your home naturally. If you would like to keep houseplants or trees inside your home, then the air quality is going to improve significantly. Of course, this is going to be a bit more involved than flipping a switch on an air purifying unit. The results of owning and maintaining plants are very nice, though. Plants and trees are designed to purify the air for humans. They take in the carbon dioxide that people and other animals expel and they turn it into oxygen. Anyone who has taken an elementary science class will know this. Plants and trees dramatically improve the quality of the air around you, making them excellent to keep in your home. Plants are living things that need sunlight and water to be able to live. You will have to take care of your plant or tree properly in order to keep it alive. It shouldn’t be an arduous task overall and you might even find out that you enjoy it. It is an option that is very much worth considering when you want to avoid buying an air purifier. If you want to learn more about the best plants to keep in your home to improve air quality, then it is worth doing a bit of research ahead of time. You may also want to determine exactly how to take care of the specific plant that you are intending to purchase. Knowing what to expect ahead of time will allow you to be prepared. This way, you’ll be able to have a good experience and your air quality will be able to improve naturally. The plants being shown here are a collection of several plants that are great to put indoors. When you want to have plants that will be fairly easy to maintain while giving you good air purification benefits, purchasing these is going to be a good bet. They are a simple way for you to get started with houseplants. You’ll have a good time taking care of these and they will make your air quality a lot better overall.